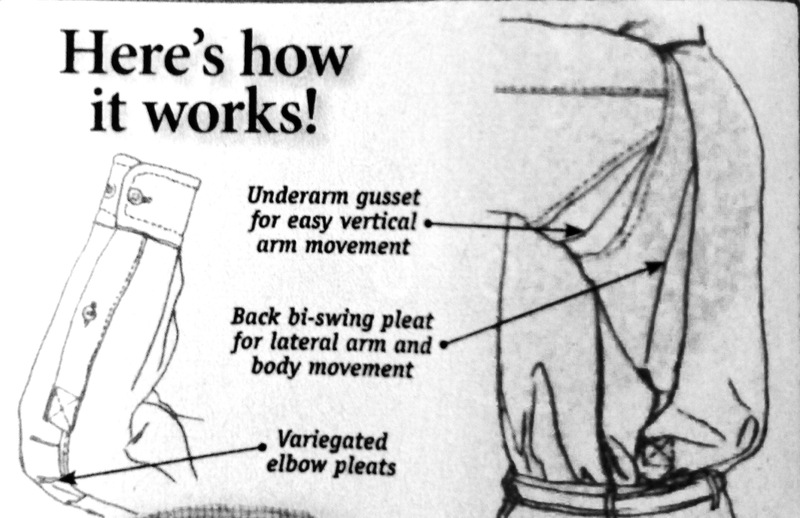 What the Heck is an Ergonometric Shirt? When Kevin and Kathleen Kelly decided to design the most comfortable shooting shirt anywhere, they followed a design science called ergonometrics – they wanted their customers to be impressed. It’s a long word which describes the “ahhhhhh” of a Kevin’s ergonometric shooting shirt and Egyptian cotton poplin shirt. Kevin’s customers swear by it, especially during a long day in the field hunting. Constructed with the finest Egyptian Combed-Cotton that is very lightweight and feels luxurious. Kevin also insisted on an eight button front and longer tail so, as they say in ergonometrics , the shirt will stay nicely tucked in your pants! Designed to feel great and move with you as you take your shot. Pocket for optional recoil pad. Experience the richness of English poplin, with the luxurious 100% Egyptian cotton yarn used to make this luxurious shirt. 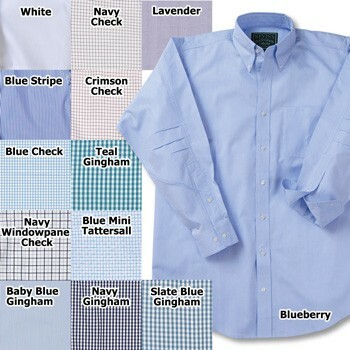 This is by no means, your typical shirt, as this fabric is enriched with a silkiness and weight that makes it the most elegant men’s shirt in the marketplace. 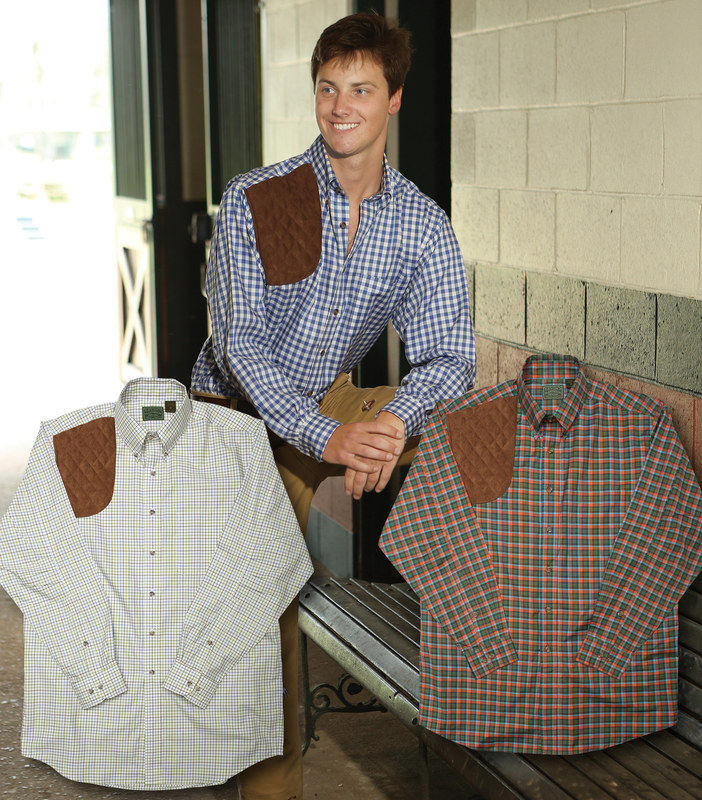 Each shirt features underarm gussets, variegated elbow pleats and back bi-swing pleats. Well-constructed features allow the shirt to expand and contract with you as you move your arms, shoulders and torso during the day in every activity. Not only will you feel great in Kevin’s Ergonometric shirts but it may improve your shot too!! Walking with fellow hunters or riding horseback across the rustling grain fields, you feel the tall grasses swaying along the path. 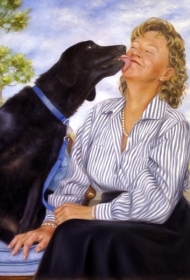 The pine trees stand majestic as a cool breeze whispers from their branches – your dogs are on edge, ready – working close and excitedly to point a covey…as you walk anxiously past the dog, a covey rises in a swift chaotic unity, and scatters. 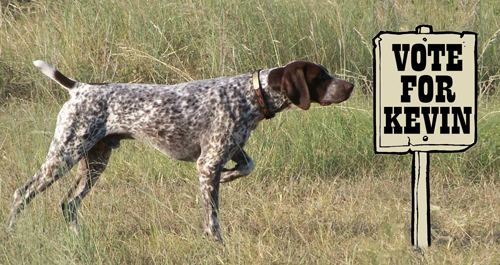 Quail hunting season represents the very best in shooting sport! 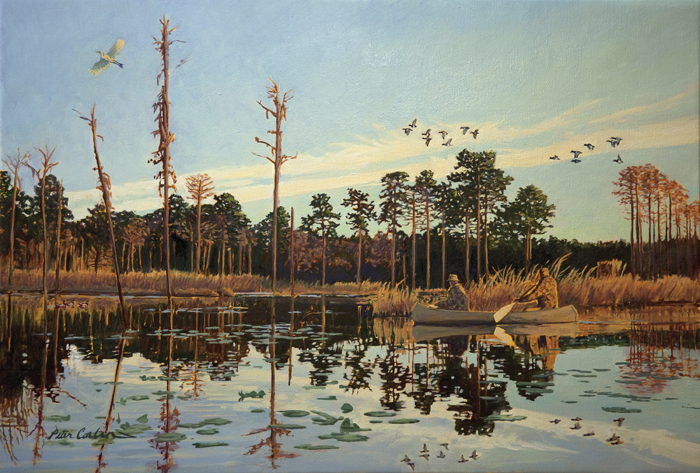 It’s why hunters have been visiting the Red Hills Region of Georgia and North Florida since the late 1800’s in pursuit of the little bobwhite. We are fortunate in this area to have quail in abundance. Since the 1960’s the majority of the North and Eastern US has seen quail populations decline, to almost zero in the Pennsylvania/Delaware region. For many years, we were no different; our quail were disappearing at a frightening pace. What changed? What brought the population back? A little regional history has a lot to do with the story of our beloved quail. There was no rail here until a year before the Civil War and even then, we were the end of the line for the railroad. We were the “western frontier” in the Deep South; and, because we were the last stop by rail, it took a long time to get anything needed that wasn’t made locally. Changes to the economic landscape came very slowly. People farmed, as a matter of course, but for the most part, the area stayed closer to its native natural habitat because of its remoteness . The Red Hills Region was underpopulated and Sherman didn’t make it this far – so despite reconstruction after the Civil War in many parts of Georgia, we had nothing to rebuild. Things stayed pretty quiet and physically the area grew at a slow, steady pace. After the war, the northern tycoons headed for warmer weather in the winter. The train line stopped here, and so did they. Soon, the industrialists fell in love with the area, abundant in fishing, wild game and birds; and, mixed with a warm winter, these snowbirds of the north began to call this region their winter home. 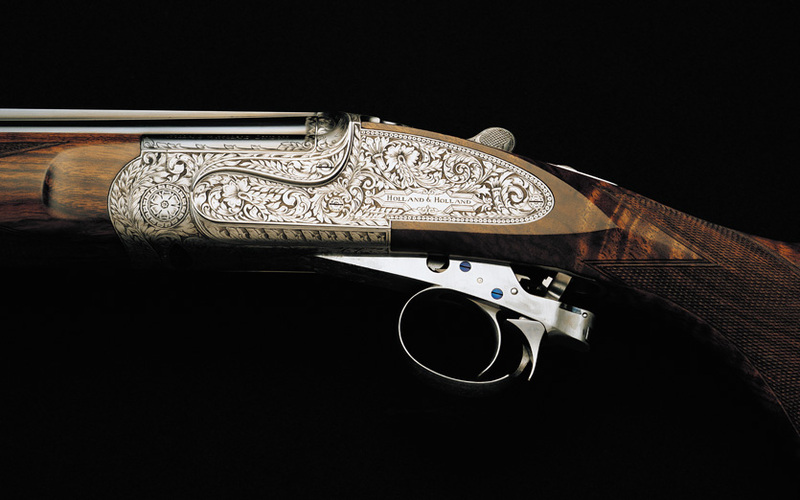 During the late 1800’s until the early 1900’s quail and quail hunting flourished. For the industrialists, it was an elegant sport. Quail wagons pulled by a team of mules are still a wonderful southern tradition used in the hunt today. 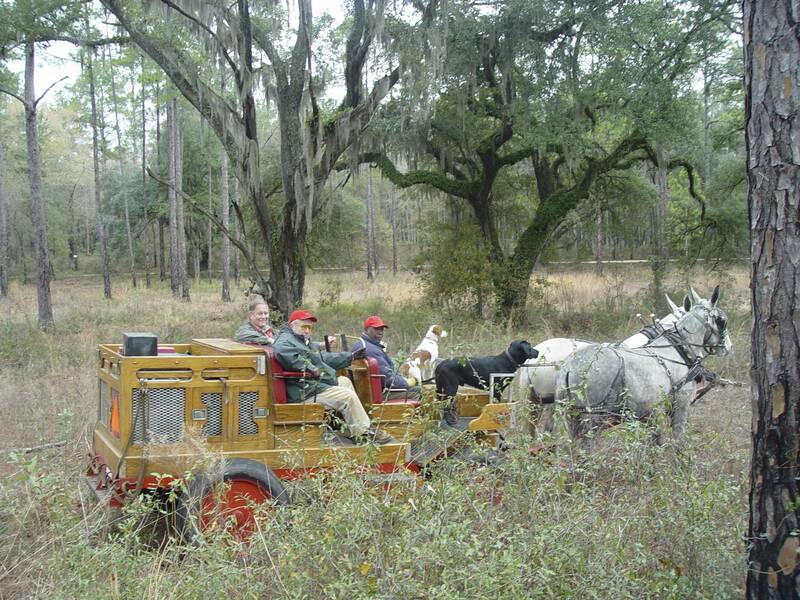 The wagons serve a purpose, they bring the dogs, the spare dogs, their water and refreshments for the hunters. For those who are spectators, the wagons offer a perfect seat. 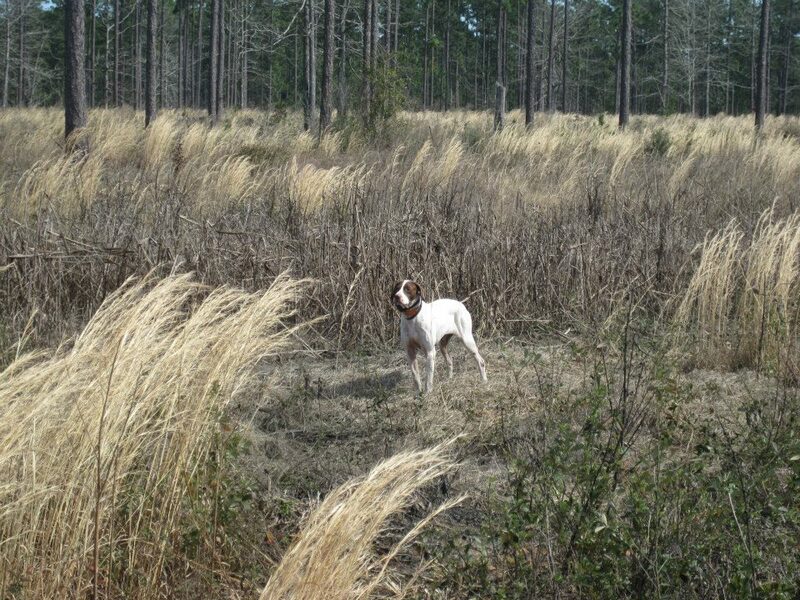 You will see them on the private lands and on the quail hunting preserves in southwest Georgia and north Florida. But you don’t need a wagon to hunt quail! Most people still enjoy hunting quail on foot. 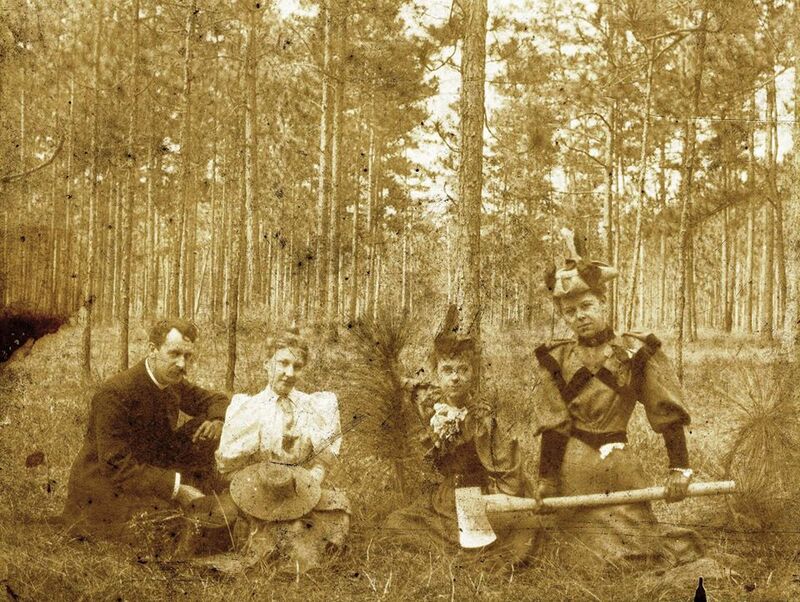 As the Red Hills Region became better known, the northern families that moved to the area wanted to preserve the land for hunting . Although they made their fortunes from industry, they worked together to fend off industrial growth to preserve this pristine hunting environment. Quail conservation was not on their agenda, but by the early 20th century the quail had all but disappeared – due to over hunting. This loss of quail became the catalyst focusing the landowners towards preservation. This little bird was a main food source in the area, going back to the native American’s who first inhabited this region, so it was important to keep the population strong. 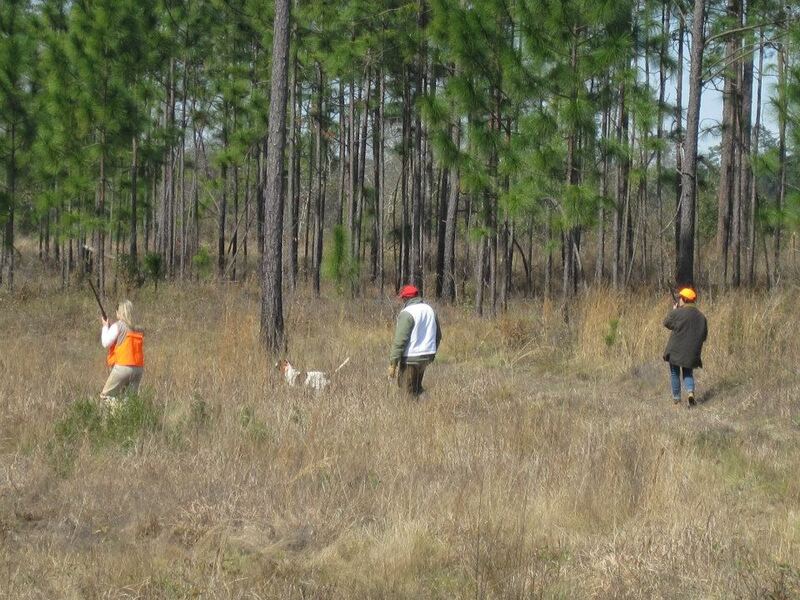 The desire to bring back the quail, rallied the landowners together to learn everything they could about conservation. They were open to learning and exploring ways to bring back the quail and protect habitat. At this time, many of the programs now used were unknown, but early efforts made a big difference and brought back the quail. This commitment, turned the landowner’s into conservationists, which helped save the quail then, and again, many decades later. The quail population struggled with the our country’s new landscape. 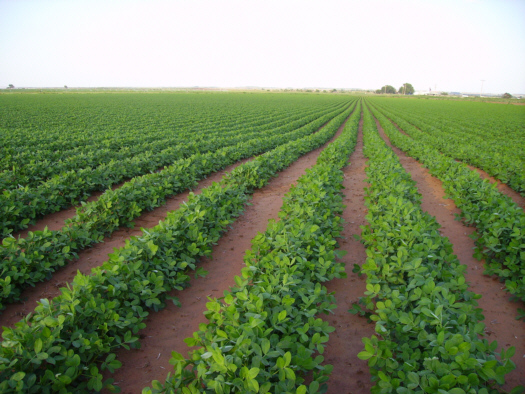 The significant expansion of row crop farming, although a boom for farmers, destroyed the protected nesting areas and food sources for the quail.The carpet like grasses of Bahia and Fescue for cattle grazing offered no food or protection for the quail. Quail have a very short lifespan and about 80% die within the first year naturally; the good news is quail are prolific breeders. Nature gives the quail lots of chicks to offset their short lifespan and their high mortality. Females continue re-nesting until late into the season to keep the number of chicks high. From the start, the chicks have a difficult go, suffering about a 30% mortality rate the first few weeks due to cold, or wet climate and predators. Ground cover and food sources close to the covey are critical to survival. In the winter coveys join together to stay warm, and face out on guard for predators like skunks, foxes, owls, raccoon, dogs, snakes and domestic cats. The grasses and insects around the coveys provide warmth, protection and food. [ii] This short life span and low mortality rate makes loss of habitat for nesting and protection an urgent situation. Quail cannot survive if they cannot breed safely. A member of the pheasant family, quail are not strong fliers, mainly because don’t need fly except to flee a predator. They search for food, or forage, almost entirely on the ground, eating grains and insects. They need room to wander as adults and thickets of ground cover at night for warmth and protection. These little birds need space! Organizations like the national Quail Forever and our local Tall Timbers http://www.talltimbers.org/ work closely with landowners to help create habitat that promotes quail population. 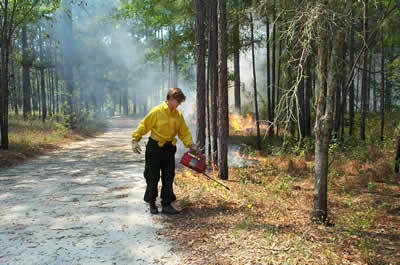 Critical to the effort is the use of prescribed fires, something that the Native American’s also used. It’s common to see the smoke rising from fields and the woodsy scent of burning brush feels like home to many. “The Fire Ecology Program promotes the use of prescribed fire (controlled burning) as an essential tool for managing natural ecosystems in the southern U.S. Many native plant and animals’ species depend on fire to maintain their habitat and have become rare and threatened because of the lack of fire in most places.”[iii] These fires also reduce the risk of wildfires. They keep habitat healthy. This plucky little bird, inspired generations of private landowners in our region to learn and implement strong conservation programs. Our area is known as the quail capital for good reason! Many regions of the US are not so fortunate, with quail populations now almost gone. 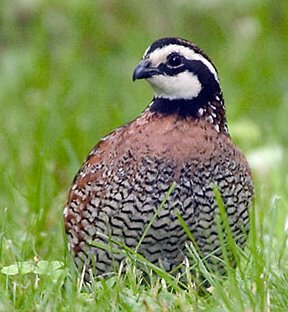 The bobwhite quail flourish because of our history of slow growth, northern industrialists keeping industry away from the region which allowed hunting land to remain intact, and a quest to keep the quail population strong. Our regional private landowners have always taken the loss of this challenging bird with great seriousness and because of their efforts, all of us enjoy a thriving quail population. 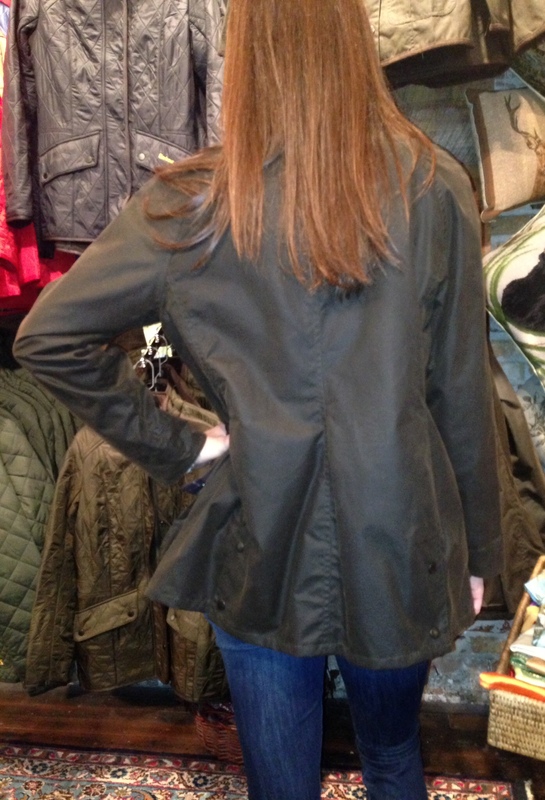 Why we love our Barbour! 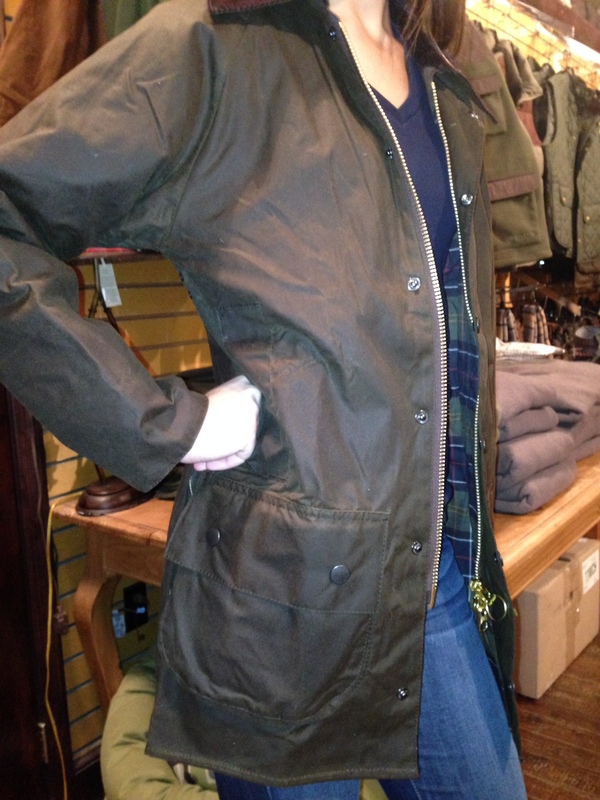 Love affairs don’t always last, except a love affair with Barbour. Based in South Shields, UK , Barbour has been around since 1894 and our love of Barbour grows stronger with time and wear. A 5th generation family owned business, Barbour is renowned for their outstanding craftsmanship and customer care. Every Barbour coat can be repaired or reproofed (waxed), even if it is torn and tattered from your grandfather’s closet. Just make sure to empty the pockets before you send it up – they have a museum full of love letters, keys and anything else you can stuff in a pocket! When your coat is returned clean and heavier, full of new wax, you will be ready to face any weather challenge (well, maybe not summer sun!). Buying a Barbour jacket is buying into a history story filled with classic style and quality. 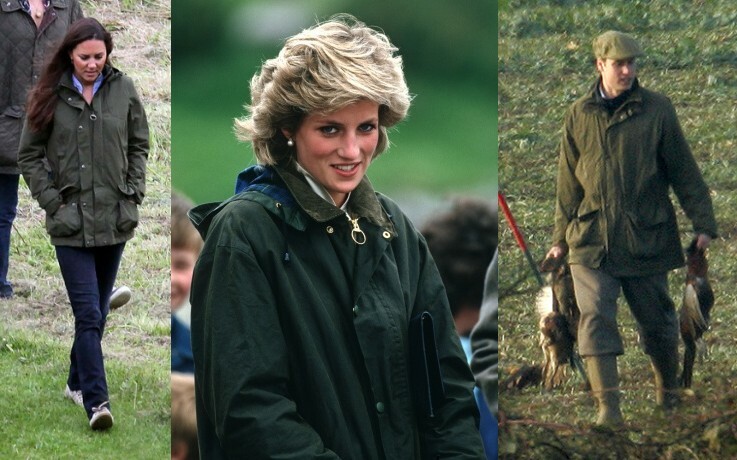 Barbour loyalists, like the Queen of England, and many of the Royal family, probably have the same “ahhhh” moment every time they put their arms into the sleeves and adjust the jacket onto their bodies as we Yanks do. It’s that “I am warm and dry no matter what” sensation– that “ahhhh’ of knowing you need not fear wet and cold because you are loved back by a warm, dependable jacket! Kevin’s customers are no different, they love the line and we see them wearing Barbour through the generations – and just like in the UK and around the world, the two most popular jackets sold are the Beaufort and the Bedale. To the untrained eye, they seem almost identical, why would Barbour make two jackets that seem so similar? So, what are the differences in these two jackets? It’s the subtle dissimilarity that screams different. Two classic jackets, both perfectly suited by design. The Beaufort is considered a shooting jacket – it’s longer than the Bedale and will easily fit over a man’s sports coat. If you are wearing a great tweed coat, the Beaufort is a handsome compliment. The Bedale is considered an equestrian jacket, it’s shorter and has vents in the back to allow the jacket to easily fit over a saddle. If you don’t ride and don’t hunt, your size might influence which one you prefer based on length. A taller person would want to test both, but might be happier with the longer Beaufort, just as a shorter person will probably lean towards the Bedale for a fit. 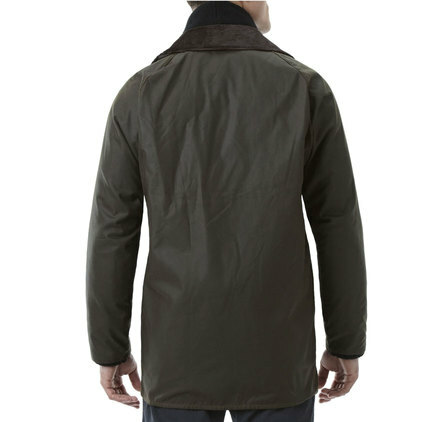 The side of the Barbour Beaufort – no vents and it is longer than the Bedale on the model. Back of the Beaufort – notice how different it is from the Bedale with no vents. The back of the Beaufort also has a rear game bag with zippers which can be reached from both sides, perfect for in the field. Contrasting this look are the snapped studded gusseted side vents on the Bedale to accommodate a saddle. Since the Beaufort is longer than the Bedale and has more fabric and wax, it also is a little heavier than the Bedale. 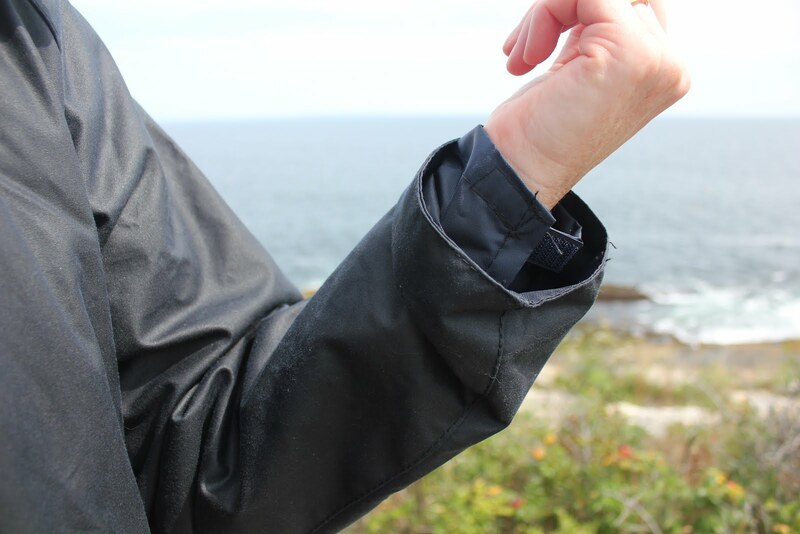 Another big difference, on the jackets is the inner cuff. The Beaufort has a Velcro inner cuff. This is designed to “break away” when lifting your arms quickly to shoot. The Bedale has a knitted inner storm cuff which hugs your wrist and was designed to keep rain from running down your arms when riding. Both classic, logical designs based on need! Since most people will be wearing their new Barbour jackets over a sweater or sports coat we recommend you try them on over your sweater or sports coat, since you want to really make sure your layered look feels great under your jacket. This is what you will most likely be wearing on a cold day anyway so a test drive in the store makes sense. There are many more choices in the Barbour line and there is at least one Barbour jacket that was created with you in mind. What’s even more amazing about Barbour is if you love the cuffs of the Bedale but want the longer Beaufort, Barbour will happily make the adjustments to your coat, simply send it to their NH USA headquarters and they happily will make the changes you need. Leather cuffs? No Problem, Additional inside pockets? No Problem. It’s what makes Barbour so loved – their willingness to give you the best service possible. For more information about repairs or reproofing contact Barbour in New Hampshire at 603-673-1313 or email barbour.repairs.us@barbour.com and don’t forget to empty out your pockets. Today, the book about Douwlina, an endangered white rhinoceros was awarded Silver Medalist – Environmental Issues by the Moonbeam Children’s Book Awards, a great honor. But, the story of Douwlina is more than a children’s book. It’s the true story about an orphaned baby rhino whose mother was slain for her horn. Douwlina’s story began when she lost her mother to poachers. 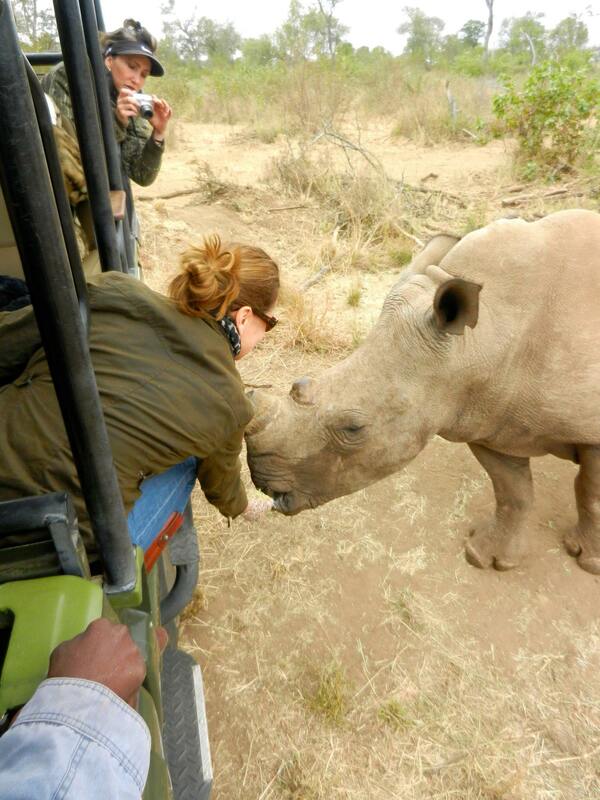 Because she was a baby and had no horn, she was spared. In Africa, where Douwlina lives, there were once over 100,000 of these smart, magnificent animals. Now, there are less than 20,000 on the entire continent, and one is poached every day in her Kruger Park alone. At the current rate of killing, it is expected they will be extinct within our lifetime. Kathleen Kelly visits Duowlina. Notice the shaved horn, this protects Douwlina from poachers. They have no interest in her without a horn. Kathleen Kelly, co owner of Kevin’s Fine Outdoor Gear & Apparel, traveled to South Africa this summer and spent time on the Leopard Rock preserve to meet Douwlina and other endangered rhino’s. The outrage about the rhino poaching goes beyond their killing. With a cold blooded cruelty, the horns are actually ripped from the animal’s heads and slowly, the rhino suffers in pain until death from bleeding and infection. The ones that are found and heal (though most don’t survive even after treatment) suffer a “ heart-breaking melancholy” [i] at the loss of their horns – they know something awful has happened to them; and they can no longer protect themselves in the wild. It’s incredible, but the rising demand for rhino (and elephant) horns is driven by an Asian belief that the powder can cure cancer, hangovers and impotence. Even worse, the rhino horn powder is a status symbol of wealth. In Vietnam, giving a gift of rhino horn powder designates power. Wealthy men want this powder and demand is strong; the more difficult it is to find rhino horn, the more prestigious. “The rhino horn is being swallowed by a small segment of the Vietnamese population who can afford prices of about $65,000 a kilogram, conservation groups say.”[iii] This is what funds the poachers in Africa, who are paid well for their efforts. In China and Thailand it is a medicinal powder with no validation of effectiveness, simply an old wives tale passed on through the generations. 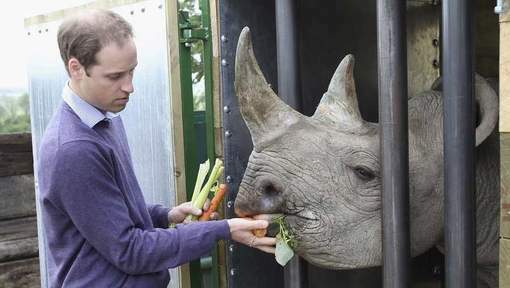 Incredibly, the horn does not need to be cruelly ripped from the rhino’s snout. Rhino horns are composed largely of the protein keratin, also the chief component in hair, fingernails, and animal hooves. They can be shaved down or trimmed. Unlike the horns of most animals, which have a bony core covered by a relatively thin layer of keratin, rhino horns are keratin all the way through. In fact, scientists can determine geographic location of a rhino by the makeup of the keratin, because the food they eat are in the horns chemical makeup . This fact allows ecologist Raj Amin of the Zoological Society of London and his colleagues to take “fingerprints” of horn samples and determine the animal populations they came from, which has helped law enforcement officials target and crack down on poaching. [vi] In the pictures of Dowlina and friends, the horns have been shaved, keeping poachers away, for without the horn, the rhinos have no value. Though Kathleen is an avid hunter, the distinction must be made that in controlled, conservation hunting, animals killed are for food and herd control to allow the animal or bird population to remain healthy. There is a profound respect for the animals and nature. If populations become too dense, the animals become sickly and the herd dies off due to lack of food in the wild. Controlled hunting, keeps the animal population large enough to thrive but not so large, they starve and become sick. The poachers of the rhinos are cruel with money as their motivation; they discard the injured rhino’s to die a slow, painful death. Hunters, respect their bounty and will do anything in their power to keep an animal from suffering. The poacher will kill anyone or anything in their way to savagely mutilate a rhino only for it’s horn, leaving the animal to suffer until it dies. There are many organizations to help end the poaching and destruction of rhino’s, elephants and other animals killed by syndicated poachers. It is a global problem which requires global action – every person can make a difference in helping save the rhinoceros from extinction. 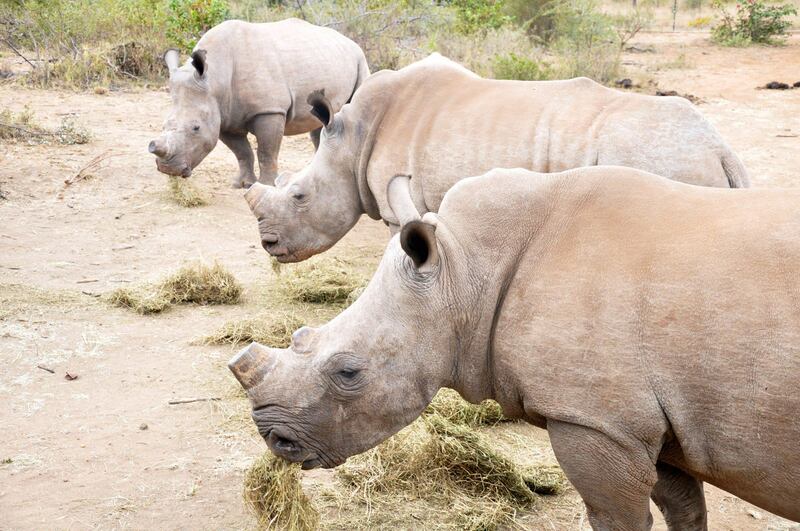 By shaving the horns of the rhinos, the poacher no longer has interest in the rhino. The horn continues to grow like a nail or hoof and needs continued trimming. 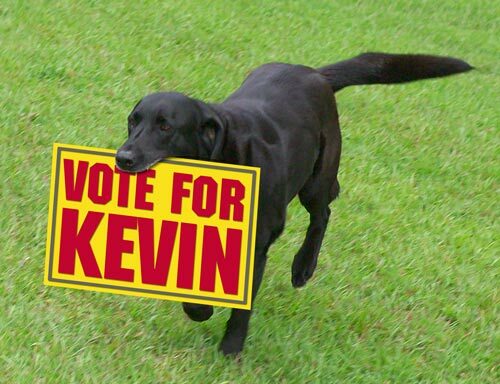 For the past month, we have been bombarding our friends and customers with pleas to VOTE FOR KEVIN’S. With great enthusiasm you have supported us and helped us move to the next round of Intuit’s contest to win an all expense paid commercial for the SUPER BOWL!! Wow, the competition has been fierce, but we made it to round two….which requires more voting by the public and our friends. In the first round, we could see who was doing well, where we fit in and we knew were always in the running because of your support. 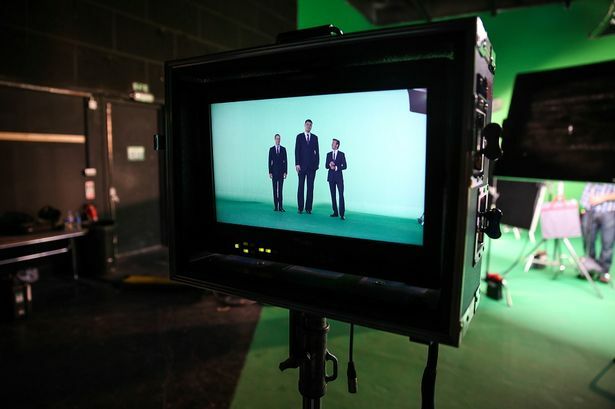 The second round ends October 13th, so please vote everyday for us, Watch our video – it is funny and real. Our video camera failed during the shoot, Kevin and Kathleen had to go out of town immediately to watch Anna cheer at an away (far away) football game, so we had very little time. It would be several days of delay if we didn’t do it that day. The Thomasville store was packed with customers (a wonderful thing) and Kevin and Kathleen knew all by name so of course, they wanted to say hello to everyone! Having the five minutes to film was nothing short of a miracle. We wound up having to shoot the video on a smartphone (pretty amazing) and after a few tries, our video opportunity was over…back to work! We hope you enjoy our entry, realizing rehearsals and technology were not in the cards, but we had a blast filming it anyway! Miss Betty did forgot to mention she was 91 years old – which is a privilege to forget at 91 years old! We also had to answer some questions about our business as a part of the competition – please take the time to read them (and vote for them) because they really give you an understanding of how important our customers, our families, our dogs and the outdoor lifestyle are to us. Thank you for your continued support and VOTE FOR KEVIN’S everyday. 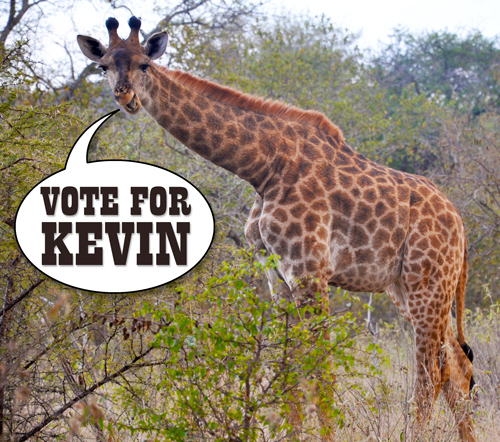 PLEASE CLICK ON THE LINK BELOW TO VOTE FOR KEVIN’S!